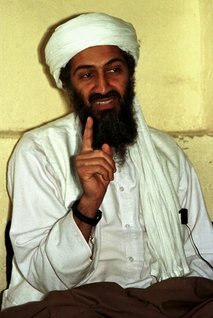 Tonight the news of Bin Laden's death was announced and was confirmed by the Presidents speech. Detail are still being gathered, a missile, a bomb, a bullet to the head by ground forces, it is not fully known. Definitely prayers are in order in both remembrance for the lives lost on 911, and all soul's lost because of this man and the terrorist cause he backed by Al-Qaida or Taliban or whatever organization or independent terrorist group which took up Bin Laden's evilness. This is not a closed matter by any means and I'm sure we still have to remain vigilant. But tonight justice has been served to an extent. Let us keep strong and resilient for whatever happens next. A small team of Americans carried out the attack and took custody of bin Laden's remains, the president said in a dramatic late-night statement at the White House.